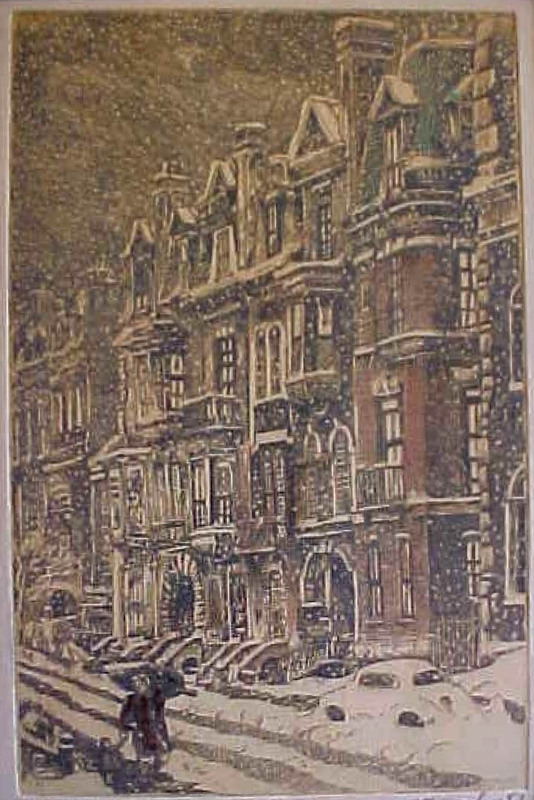 Title: Manhattan Christmas Type: Etching Painted Dimensions: 8.5" x 5.5" Collection/Source: Unknown Blog Entry: "The feel of it...the wintry bite on the tips of my ears and nose, the sweet invitation of fresh pine and woodfire in my senses, the comforting and familiar brush of the tree's branches against my face and neck as we loped through these city streets. The pick of the season, I tell you...the champion choice from the corner street lot. This will be the finest Christmas of all!"